What makes a customer stay with your brand for years, knowing there are potentially better products with more affordable rates available? In an economy that allows worldwide competition, gaining a customer’s loyalty can be challenging. It’s often achieved using a holistic relationship marketing strategy. Having great products and services are important. But you will need more than that to keep the attention of your customers over a long period of time. The answer to the question posed above is quite simple – they have a great relationship with the brand. The truth is, your customers can easily get the products and services they need from another company. The extra details (e.g. customer service, fast shipping and other after-purchase services) help customers in deciding who they want to keep patronizing. However, as a business owner trying to make sales, why should you invest your resources into maintaining a relationship with people who are already your customers? Why should you build long-term relationships with your customers? Maintaining a long-term relationship with every single customer might seem like a lot of work. Research has shown how beneficial relationship building can be for a company. A study by Bain and Co. showed that a 5% increase in customer retention could mean a 75% increase in the company’s profitability. Even the old 80/20 rule which says that 20% of your customers bring in 80% of your revenue still holds true in many businesses. The most successful brands today are those who have established relationships, backed by loyalty, with their customers. These brands understand the value of relationship marketing, which is under the very wide umbrella of Customer Relationship Management. Unlike most of the common marketing strategies, relationship marketing is not aimed at making immediate sales. The target is to build long-term engagement with customers and potential customers. Relationship marketing strategies are actionable plans that can be used to create a personal connection between a brand and its customers and potential customers. 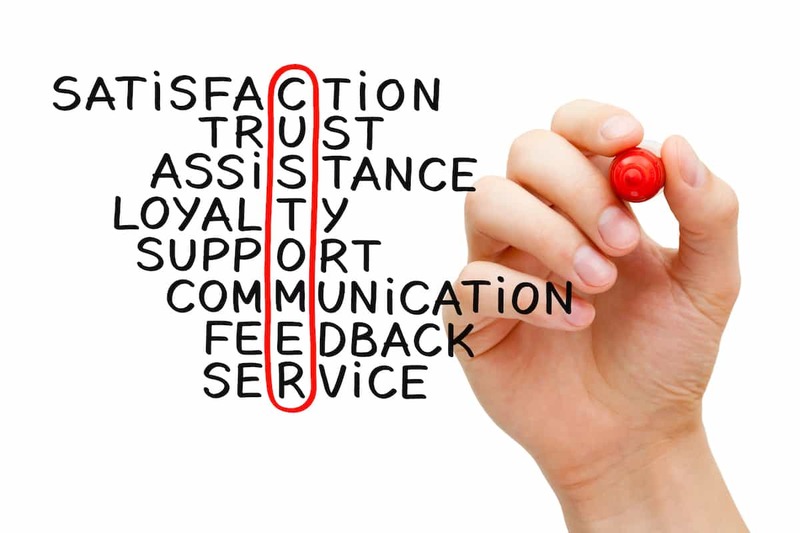 Having a great relationship with your customer ultimately encourages loyalty. Customers form loyalty to several things that could seem minute but in reality, act as the deciding factor for their loyalty to a brand. For example, a customer could form loyalty to a brand because of a particular salesperson. Having a friendly, interactive person as the face of a business could give customers a friendly face they can attach to the business. They could keep coming back because they have developed familiarity with the brand, and won’t want to patronize anyone else. However, in most businesses (especially web-based businesses), you may never get to meet your customers face to face. In this case, it is still possible to create a relationship that will be interpersonal in nature. How are relationship marketing strategies developed? Every time your company interacts with a customer, there is an exchange of data. Regardless of how insignificant this data might seem, it can be very useful when developing relationship marketing strategies. Before any plan is mapped out, research is needed to understand the customers and decide on the best approach, depending on the type of company it is, and the services they offer. With the information gathered, a company can go ahead to work on a marketing plan that is tailor-made for the type of customers they have. Firms that adopt a relationship marketing strategy attempt to segment and profile their customers for better targeting. To understand your customers better, you need a centralized storage for all the data you collect from them. When you don’t have a centralized data storage option, segmenting and profiling your customers can prove difficult. Random data from multiple sources is not as useful as information gathered from one file source. You might have the right information but it’s on the wrong platform. Making it useless in a marketing strategy it would have supplemented greatly. There are several CRM solutions available for businesses, ranging from small to large corporations. A good CRM system can be used to gather and store information about your customers every purchase and interaction. While making it accessible to all the key players who need this information to make your marketing strategy a success. Here at GILL Solutions, we use Infusionsoft, as it combines customer relationship management with our relationship marketing strategy automation. Your company’s post-purchase communication with a buyer should go beyond a generic ‘Thank you’ email containing shipping information and other necessary details. The email you send to a customer after a purchase should be as personalized as possible. While offering an avenue for further engagement. For example: If your company sells a software for social media management, you could offer membership to your online forum. Or you could provide access to your blog containing helpful information regarding social media management and other social media growth. You could also create automated but personalized follow up emails to be sent weeks later. Followups to ensure your customers are satisfied with the product or service they received. Your customers should believe that you are still offering helpful services to them, even after they’ve made a purchase and probably won’t be giving you any more money. Customers like to be recognized for their loyalty to a brand. Putting repeat customers under a loyalty program will make them feel rewarded, regardless of how small or large the rewards are. Customer loyalty programs with rewards of significant value will encourage customers to keep coming back. Consumers like to gain access to those extra benefits as often as they can. Being recognized also makes people feel special. Your strategies should be aimed at making every single one of your customers feel special and appreciated. Your products and services should be designed to satisfy your customers, not you. Don’t just ask for feedback as part of your sales protocol. Assess feedback and take note of what your customers liked, in particular, their complaints and their suggestions. After doing this, whether or not you take action, be sure to show appreciation for the feedback. If a customer sends feedback the first time and gets no response, it is very unlikely they will want to incite communication with you again. Do you provide value for your customers beyond the one they pay for? Your customers should see that you genuinely want to do something nice for them. Something which doesn’t require payment from them. There are several options to offer free resources to your consumers. Resources, such as blog posts or articles, how-to videos, and events organized for a target audience give value. You could also create branded accessories, that you include when shipping purchased products, as a thank you. It’s important to remember that being a customer-centric brand is not enough. If you don’t have products and services that are worth a repeat purchase, you’re missing out on creating customer loyalty. Getting great value for their money is one of the biggest factors that will encourage customers into becoming repeat buyers. For relationship marketing strategies to work, the value being offered must be encouraging. Having an appealing brand will not cover up the fact that your products and services don’t satisfy the needs of the buyers. What relationship strategies do you employ to ensure your customers keep coming back to make more purchases? Share with us by leaving a comment below.